Here’s a fun event for the family including Brunch with Santa and Fredbird! 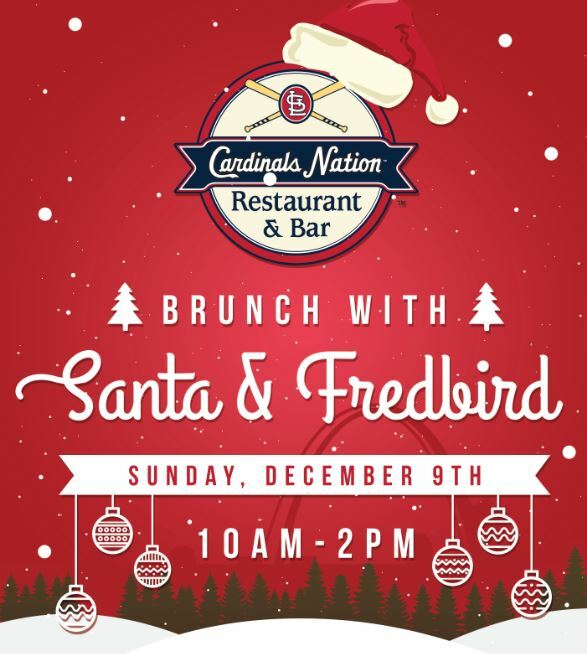 Cardinals Nation’s biggest brunch of the year is on Sunday, December 9th! The menu covers all of the bases from breakfast to lunch and St. Louis’ best Bloody Mary Bar. Brunch includes admission into the Cardinals Museum. Activities for the kids include a face painter, balloon artist, letters to Santa and a photo opportunity with Santa and Fredbird on the third floor. The activity area opens for each guest 45 minutes prior to reservation, beginning at 9:15am. Cost is $40 Adult | $15 Children ages 3-11 | Free for children under 3.